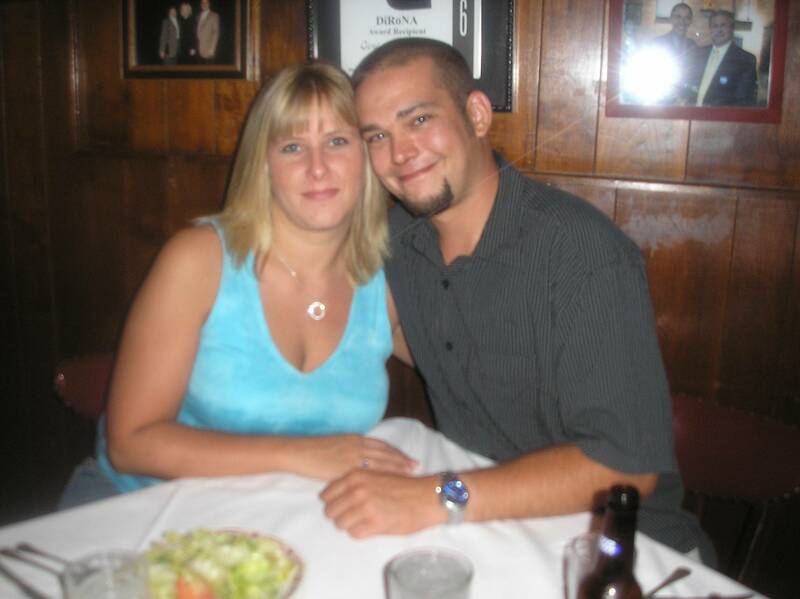 Jamie and Wendy met at a local night spot in November of 2006 and hit it off pretty well. We couldn't keep our eyes off of each other and after keeping in touch through emails, instant messaging and phone calls for almost 2 months, Jamie asked Wendy out on a first date. After dating for several months and driving back and forth from Bloomington to Lincoln to see each other on the weekends, Jamie asked Wendy and her daughter to move in with him in May of 2006. In June of 2006 after Jamie moved in to a bigger apartment, Wendy and her daughter Kristina moved in. Right before they moved, Wendy found out she had been offered a job at State Farm in the Corporate Law department. The new apartment (townhouse) was about 2-3 blocks from her new job, Corporate Headquarters. Perfect! Kristina started attending Bloomington Community High School in August. Then they decided to rent out Wendy's home in Lincoln and that took several months of moving things, painting, small repairs and cleaning. She found a suitable tenant in December of 2006. After celebrating their first Thanksgiving and Christmas together, they decided to plan a special weekend to Chicago to celebrate their 1st year together since their first date. January 6th they left for Chicago and after checking into their hotel they took a cab to the Sears Tower. The view was amazing at night! After an interesting elevator ride down (ask Jamie about that!) they went back to the hotel and got dressed up. Wendy had bought a "little black dress" and Jamie wore a black suit. After a couple of drinks in the next door "Liquid Lounge" they took a cab to their favorite restaurant, Gene & Georgetti's. The place was much busier than the last time they went there. (Last July after a Cubs game for Jamie's birthday). But they got a nice table towards the back and ordered some steaks and drinks. Before their meal came Jamie asked Wendy how she felt about their year together. She joked and said it was pretty good for the most part. Then she reached for his hands and held them in hers and said it was the best year she's ever had and she was very happy. During and after dinner Wendy noticed Jamie looking at her with a strange look and appeared very nervous. She asked him several times if there was something wrong and he would just smile and not say much. Then after the table was cleared he came over to her side and got down on one knee and said.. "well I think that this year has went so well that..." and then he pulled out a little box opened with a beautiful diamond ring! Although Wendy said yes two or three times and hugged and kissed him, Jamie couldn't hear much because the whole restaurant heard of the news and everyone in the place stood up and clapped. The table next to them congratulated them (as well as many other strangers coming up to the table giving out hugs and hand shakes) and ordered a bottle of champagne to celebrate. The waiter brought two more glasses of the wine they were drinking "on the house" and we sat back and talked about what just happened and their future together - with perfect strangers! Afterwards, they took a cab downtown to a nightclub and celebrated their new engagement. And now they have alot of planning to do!! They are really excited about planning a beautiful wedding and want it to a very special day.